Senior Maria Rivas Reyes was part of a small group of UC Merced students who visited Peru during winter break, serving as translators for medical purposes. The explorer mentality, public health Professor Stephen Wooding said, is what sets the students of UC Merced apart from anywhere else. A willingness to try something new, to go somewhere they’d never thought possible, is a part of the Bobcat DNA. For three students, the time they spent traveling up and down the Amazon River over winter break fully embodies this desire to explore. Undergraduates Henry Castillo, Pedro Garcia and Maria Rivas Reyes spent three weeks serving as interpreters in Peru in January, helping a team of Canadian nurses communicate with the natives in isolated areas of the country. Wooding has been conducting research in Peru for several years as part of a fellowship from Hellmans Fellow Fund. His focus is on the genetics that produce the bitterness of the cassava plant — also known as yuca — and how locals domesticated the plant despite its toxicity. UC Merced students often join Wooding in his research, but this most recent trip unfolded differently. In Wooding’s eyes, it opened up a new world of possibilities for students — something he has been working toward since he joined the university in 2013. 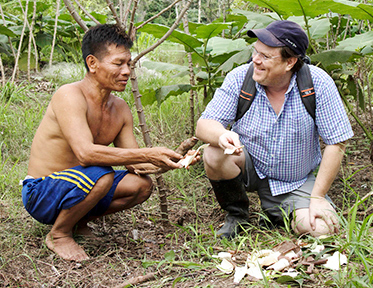 Professor Stephen Wooding researches the genetics of the cassava plant and how locals in Peru have domesticated its toxicity. The students volunteered through Project Amazonas, a non-governmental organization journeys down the Amazon River by boat to help the citizens of Peru. All three students grew up with Spanish as their first language and helped the nurses communicate with visitors who attended their pop-up clinics at schools and even under people’s homes — which are on stilts in Peru because of the river’s rising tides. “It was rewarding seeing patients' faces when they received medications for themselves and their children,” said Rivas Reyes. 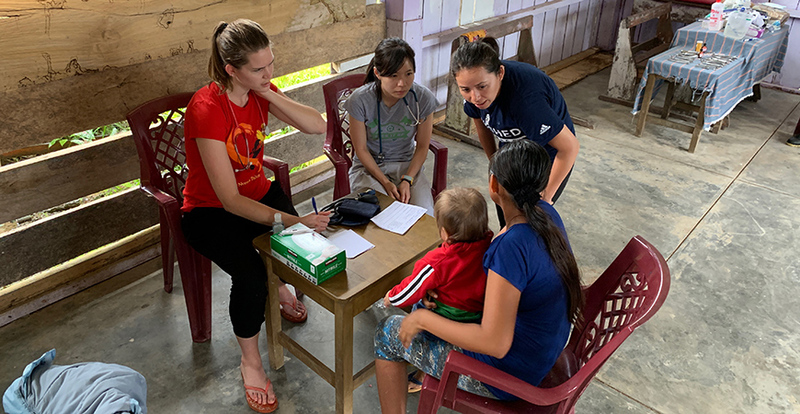 "When UC Merced students are able to engage directly with the residents of remote Amazon communities, they not only improve the quality of medical care that those residents receive, but they also forge a cross-cultural and socioeconomic connection that highlights that we are more alike than we are different,” said Project Amazonas President and Scientific Director Devon Graham. Helping with medications also proved to be one of the most challenging parts of the trip, with subtle differences in the Spanish dialect between the students and Peru natives making it imperative that they communicated correctly. The students used the trip as a research opportunity as well. Rivas Reyes, a public health major, focused on women's health and the locals’ attitudes about sexual health. She interviewed women after helping interpret health education classes led by the nurses to see if attitudes changed. Garcia received a grant to research the perceptions and attitudes residents had toward modern and traditional medicine. He found that many people there are terrified of visiting doctors and often wait too long to be treated or only visit shaman. 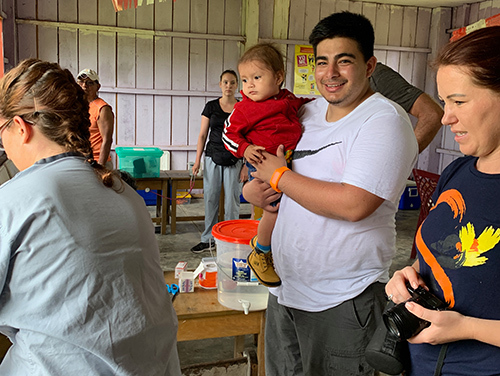 Senior Pedro Garcia used the trip to Peru to research research the perceptions and attitudes residents had toward modern and traditional medicine. Wooding hopes to evolve these trips into a UC-sanctioned course in the future. For now, he plans to continue introducing students to the isolated areas of Peru. “Our students are very community minded and charitable, and they like to do research that will help the community,” Wooding said. The students expressed a desire to go back to Peru to continue to help the people there. “My biggest takeaway from my experience in Peru was realizing how privileged I am,” Rivas Reyes said. “Before traveling to Peru, I thought I had an idea of what my experience would be like because of my background as a person who grew up in Mexico. However, when I arrived, I realized how different the culture was and how different their health needs are. “I had an amazing experience interpreting and interacting with the people of the Amazons and anyone from our trip will tell you the same thing,” she said.